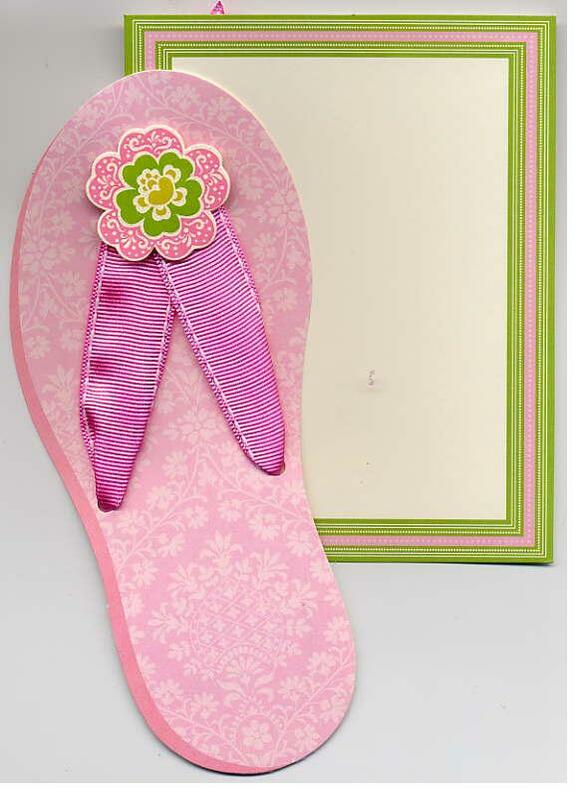 Oversize pink flip flop diecut featured pink toehold and ribbon, attaching to an imprintable green border card. 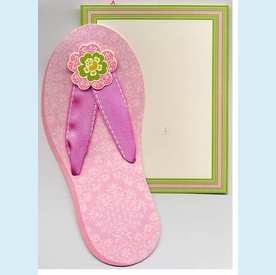 Perfect for a summer pool or beach party invitation! NOTE: Only 8 boxes left! SIZE DIMENSIONS: ~5" x 7"